I had a slightly scrungy lemon in the fridge, not nice enough to slice up and make any use of aesthetically, not bad enough to throw out. If there is one thing that drives me up the wall, it’s produce being wasted and it’s something I am working really hard on. This lemon was hidden and luckily I came upon it in time to use it in these muffins. My poor work girls, my guinea pigs. They get scrungy lemons. The lemon may not have been the most beautiful thing in the world, but it helped to make some really tasty, lighter muffins. Light because my darling Melissa at work was wanting something healthier than the usual chocolate fare I bring in. Don’t worry, they got chocolate the very next night. 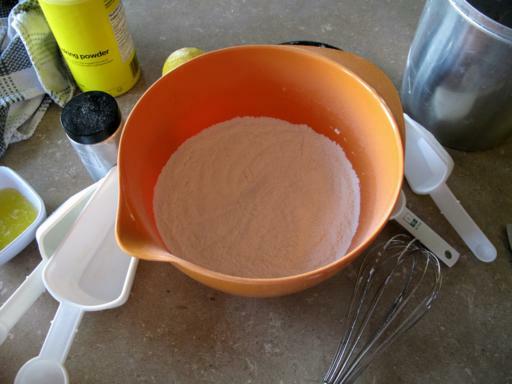 Whisk together your dry ingredients. Yes, white sugar isn’t that healthy but there’s no use eating something that doesn’t taste good, it has to have some sweetness to it, or what’s the point? 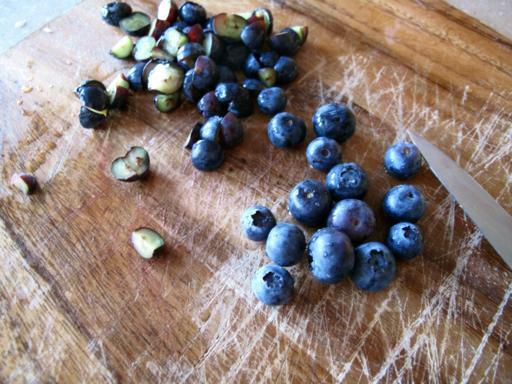 Chop up the blueberries, the small ones I cut in half and the large ones into quarters. This took a relatively short amount of time and I actually had blueberries at the top of my muffins, not just the bottom. It’s worth the extra 2 minutes. This makes a perfect, beautiful dozen. Grease the tins or line them with paper muffins cups and fill them a decent 2/3 of the way. Bake at 375 for 14-17 minutes, until the tops spring back when touched. The lovely brown outside is thanks to the smidgen of butter in the recipe, toasting it up. 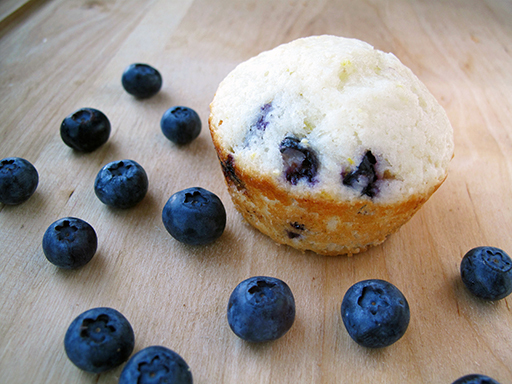 Healthy, light blueberry muffins with a lemon tang. 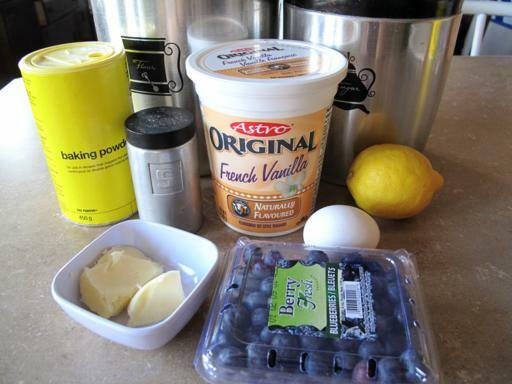 These blueberry muffins are a great start to your day! Chop up the blueberries, the small ones I cut in half and the large ones into quarters. This took a relatively short amount of time and I actually had blueberries at the top of my muffins, not just the bottom. It's worth the extra 2 minutes. Combine the yogurt, melted butter, lemon juice and egg. I whisked mine together rather rapidly to ensure a complete mix. Add to the dry ingredients and combine.This makes a perfect, beautiful dozen. Grease the tins or line them with paper muffins cups and fill them a decent 2/3 of the way. Bake at 375 degrees for 14-17 minutes, until the tops spring back when touched. The lovely brown outside is thanks to the smidgen of butter in the recipe, toasting it up. Just made these, but I put in 1/2 cup of rolled oats and one cup of flour. I used lemon Chobani yogurt instead of vanilla and no zest cause I didn’t have a lemon. Everything else was the same. It was DELICIOUS. But next time I will decrease the sugar. It was a little too sweet for my husband’s taste. These were very yummy and a wonderful treat but I would hardly call them healthy…. 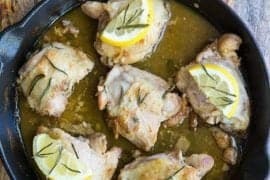 I stumbled across your recipe this morning looking for ideas for lunches for my 5 guys! I used frozen Saskatoon Berries that we picked this past summer from our backyard tree (Alberta, Canada). 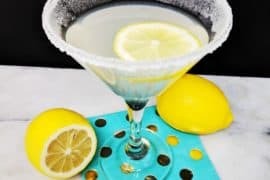 I also used plain yogurt and a bit more lemon and they are De-LISH! @Juanita So glad that you liked them! MMMmm I love Saskatoons, lucky you to have them in your yard! Baked these this past weekend and they turned out beautifully! I didn’t have vanilla yogurt and used plain yogurt with 1.5 tsp vanilla extract. Thanks to the previous poster for the suggestion. I also used all whole wheat flour. Delicious! @Aliya I’m so glad that you enjoyed them! Delicious muffins with a really great lemon flavor. A tip for the blueberries not sinking to the bottom is to toss them in a couple Tbsp. Flour before folding them into the batter. 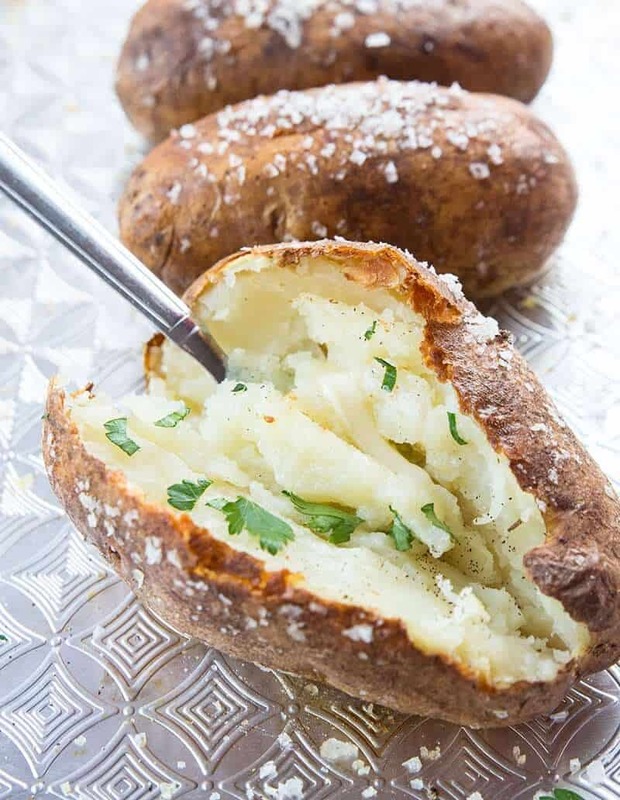 No need cut them up using this method. 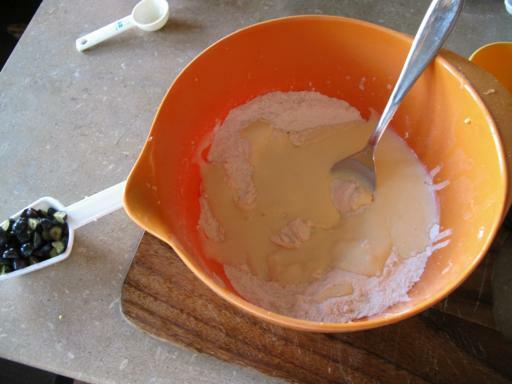 Something I have just discovered and I love is to use a 1/4 cup cookie scoop to get the batter into the muffin tins. So fast, easy and clean way to do it. !I made these this afternoon, and they. are. delicious.! 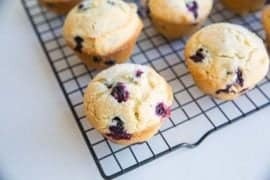 Really, there is the perfect amount of everything in these muffins, from the yogurt and sugar to the blueberries and lemon! 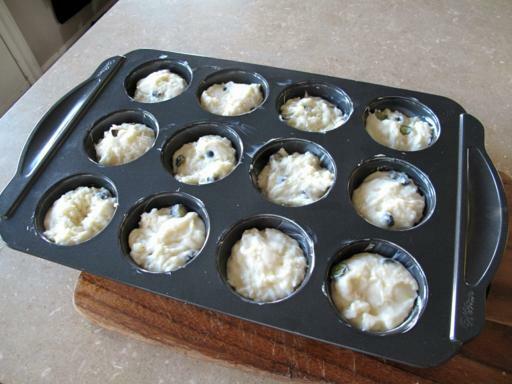 I cut my blueberries up too, and you’re right, they bake throughout the muffin, not just on the bottom. I added an extra kick with some toasted coconut on the top of them, and they turned out near perfect. Printing and filing this recipe for the future! 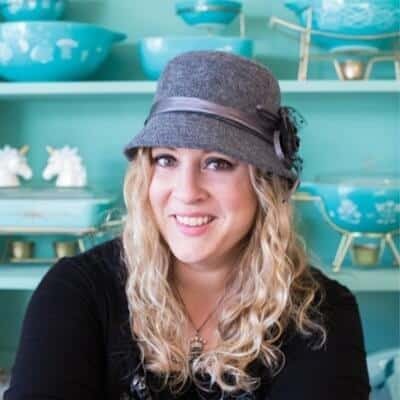 Beautiful blog btw, Karlynn, thanks for sharing such beautiful moments of your life! Also loved that you are Canadian like me! AMAZING muffins! i made them with a slight change… plain yogourt instead of vanilla (because I don’t like vanilla yogourt) and I added 2 tsp vanilla extract to the liquid ingredients instead. The muffins are so moist and yummy! I might add a bit less sugar next time though. Oh my. I just made these with 3/4 cup whole wheat + 3/4 cup white flour (instead of 1 1/2 cups white) and 3/4 cup “Europe’s Best” Frozen Fieldberries. To die for. Just normal vanilla flavored yogurt.